SAPPHIRE NOW in Orlando Florida was a perfect platform for the SAP Innovation Awards 2018 winners & finalists to share their award-winning use cases with over 20,000 onsite conference attendees and many thousands of virtual followers across the globe. Celebration Event – Winners and finalist were recognized for their achievements at the SAP “Global Platform Solutions Intelligent Playground” event which included fun with peers, SAP leaders, SAP solution experts, and a new video featuring all the winning use cases (which will be published shortly). SAPPHIRENOW Live Studio – L3 Technologies and Kaiserwetter Energy Asset Management participated in panel discussions. In addition, many of the SAP Innovation Awards winners & finalists were featured in SAPPHIRE NOW sessions as well as meetings with press, analysts, influencers and other customers to share their amazing stories about innovation with SAP technologies. SAPPHIRE NOW comes earlier next year with the dates, already confirmed. Look for upcoming announcements and plans for SAP Innovation Awards 2019 submissions and the opportunity to share new innovations. Going forward we are continuing the momentum throughout the year by finding opportunities for the participants of the SAP Innovation Awards to share their success with you including the upcoming SAP HANA & Leonardo iFG Communities “Customer Spotlight – 3 Things to Know…” series, podcasts, videos, and events. Be sure to catch updates by following #SAPInnovation on twitter or subscribe to the newsletter. SAPPHIRE NOW is earlier next year with the dates May 7 – 9, 2019, already confirmed. The SAP Innovation team is getting ready to bring you the awards for 2019 with exciting improvements based on your feedback. Start planning your submissions!. We look forward to recognizing your award-winning use-cases at SAPPHIRE NOW. 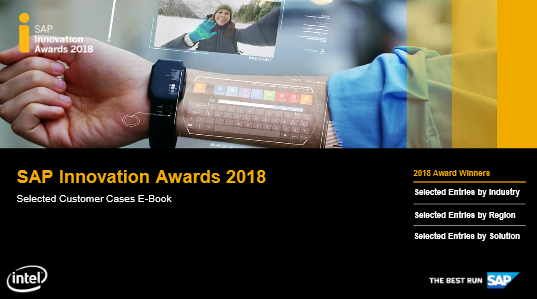 Look for upcoming announcements and plans for SAP Innovation Awards 2019 submissions and the opportunity to share your innovations.